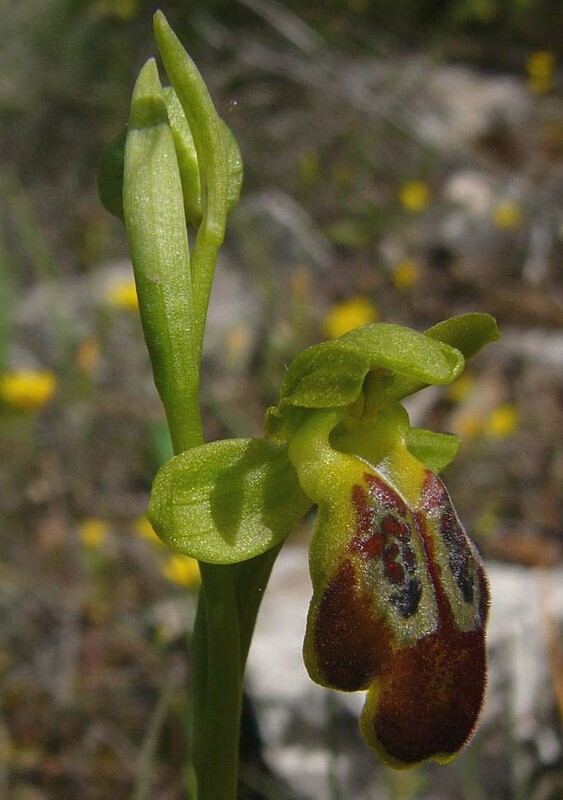 This is an orchid until recently thought to be endemic to continental Greece with just one offshore outpost on the island of Euboea (which is separated from the mainland by a matter of of a few hundred yards !). It is now known however to be present, albeit rarely, in Sicily as well. Although local it can be frequent in its favoured locations and these areas are invariably a dry habitat in full sun (rocky hillsides, garrigue, abandoned olive groves etc). 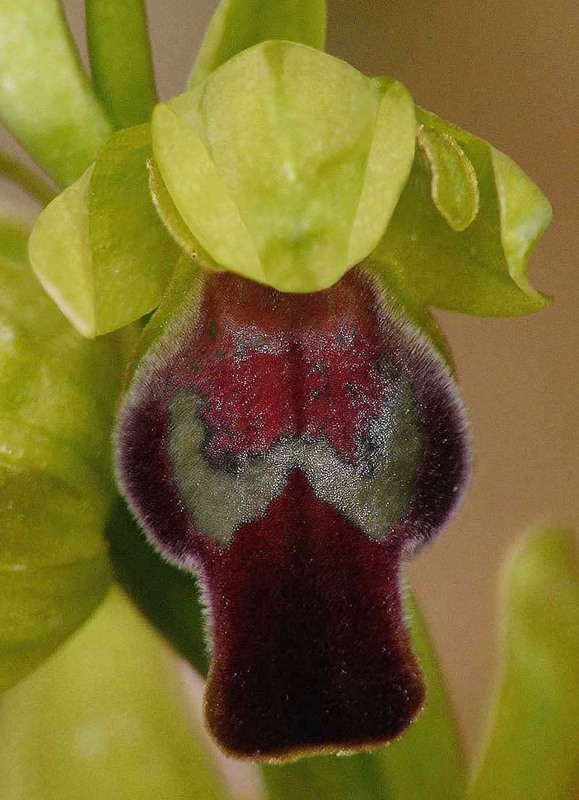 O. calocaerina is a member of the O. funerea group and at up to 50cms is one of its taller and more sturdy species. Its also one of the most colourful and varied taxons in the group and is not readily confused with any other. 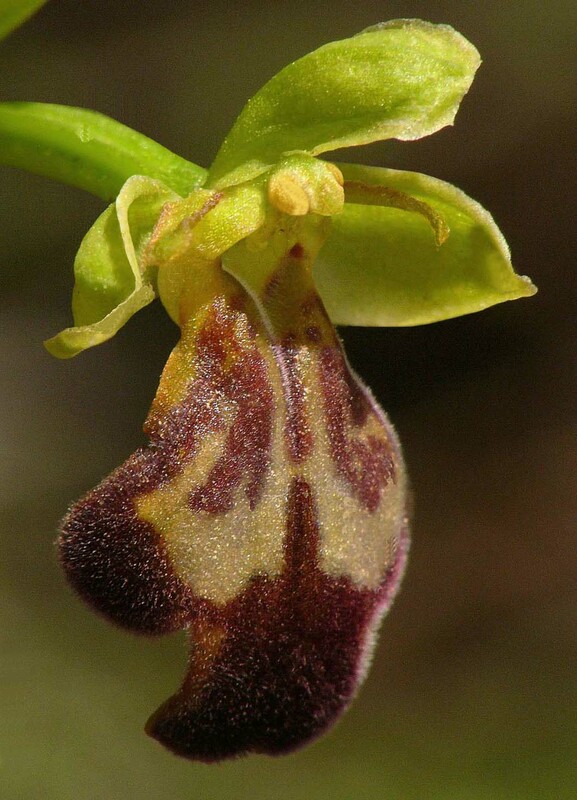 O. calocaerina presents a large labellum divided by a deep groove that bisects its entire length. 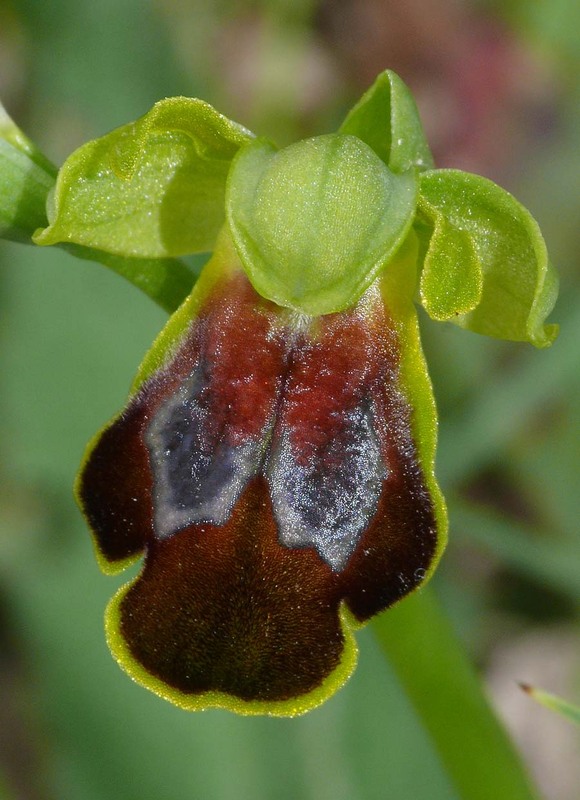 This feature is strongly remeniscent of O. leucadica, an orchid whose range overlaps with O. calocaerina and with which it almost certainly hybridises. 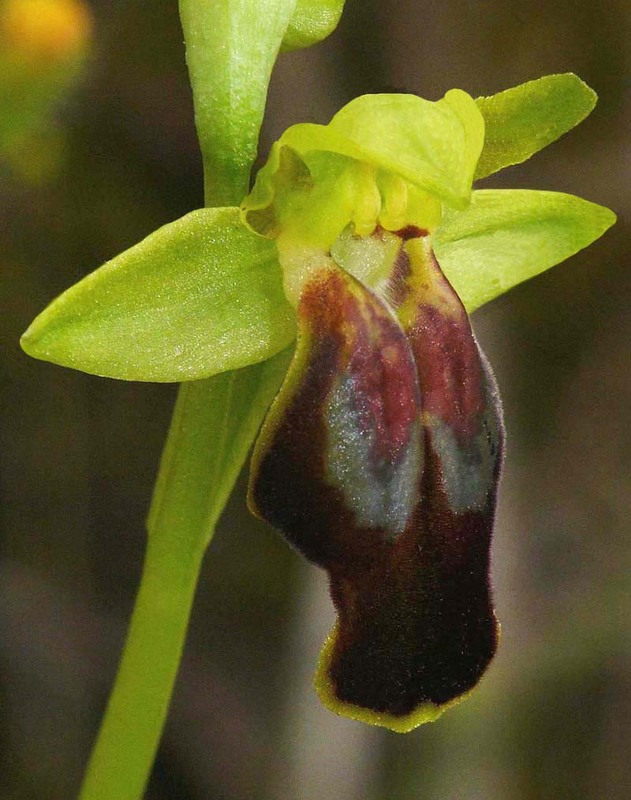 In Sicily it keeps company with several other similar species and the scope for hybridization is huge. 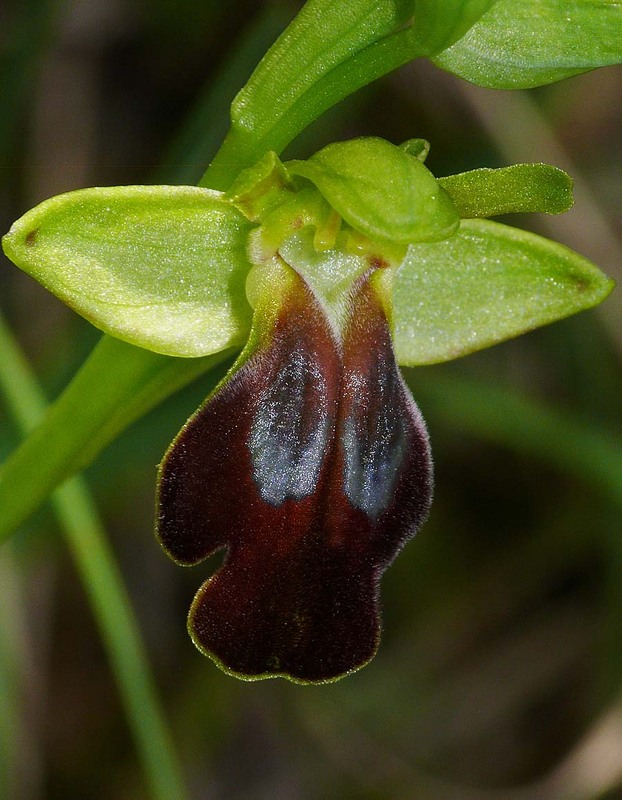 A defining characteristic of this Ophrys is its tendency to be highly colourful, particularly with hues of red below the stigmatic cavity. 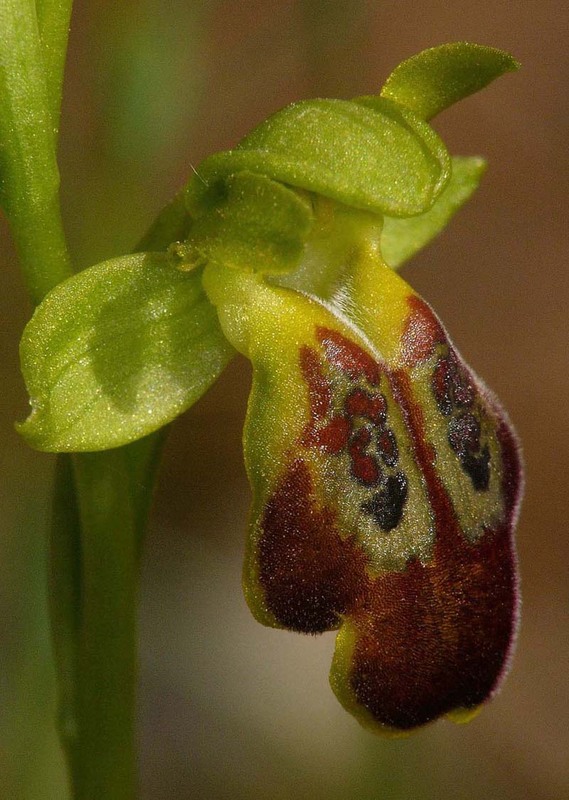 O. calocaerina was first described by Devillers and Devillers-Terschuren from Viotia, Greece in 1994 and its name literally translates to beautiful season. 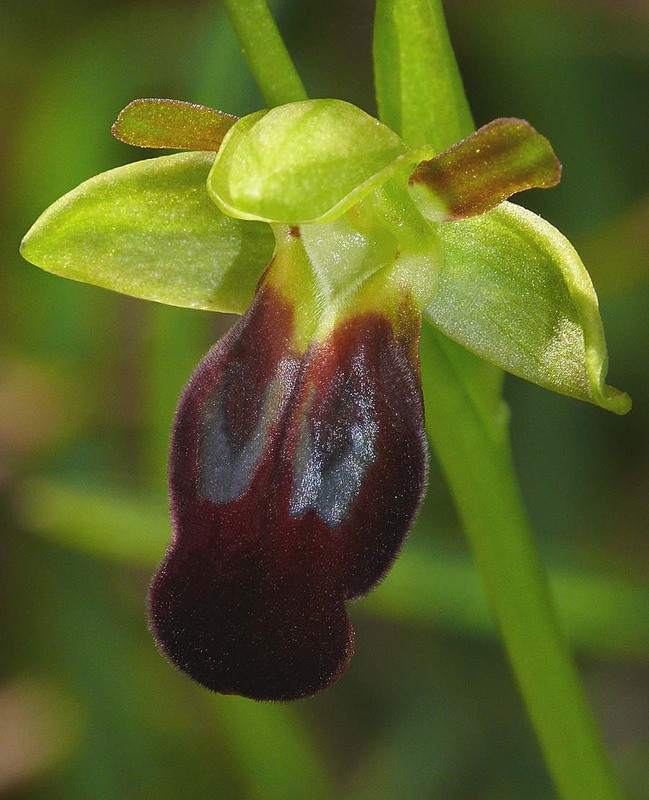 It is certainly an attractive orchid but quite why the seasonal aspect was included in the name is unknown. 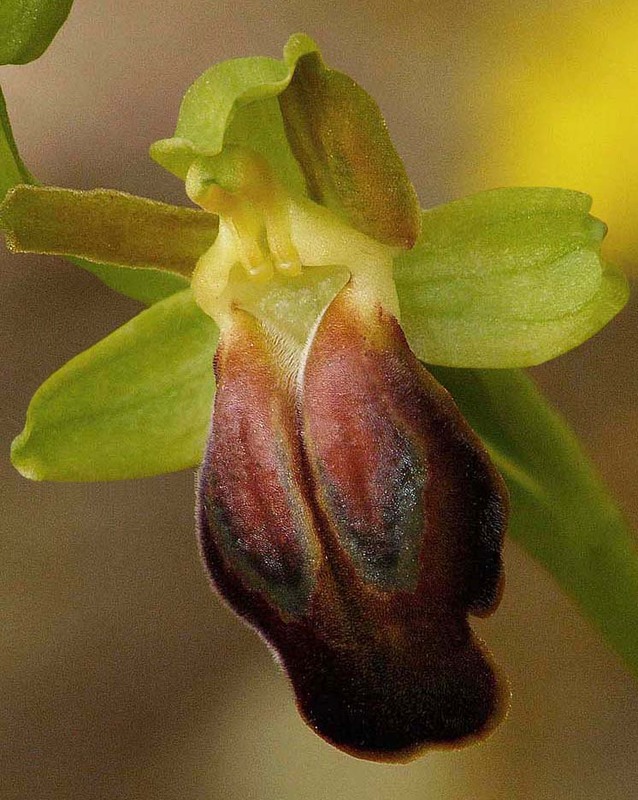 Nonetheless, its an orchid, full of character and well worth seeking out. The illustrations are from Mt Hymettus (Athens) and Sicily, dating from the end of April.